I try to cover as much world music as possible, but like everything else that depends on the good graces of the labels and their publicists. Such good graces aren't equitably distributed. Two labels put out a large percentage of the themed anthologies that provide most people their gateway to world music. 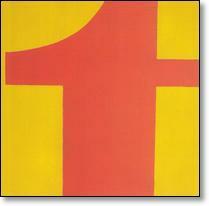 One is World Music Network, based in England, and best known for their Rough Guide series. The other is Putumayo World Music, based in the US, in New York. One treats me royally, so I've managed to review 44 Putumayo titles. The other won't give me the time of day, despite the fact that I've managed to scrape together reviews of 26 Rough Guide and a few more World Music Network titles. I wish I could say that Putumayo has a better series, but on average, and more importantly at best, they don't. The Rough Guides are more densely packed and much more likely to find lost gems. Putumayo likes to limit their licensing costs to 11-12 titles, often picks newish tracks smacking of cross-promotion, and sticks to a sanitized easy-listening vibe reflected in their cover art. The Rough Guides are, in a word, rougher. Still, I have more than the publicist to gripe about. Neither series is documented as well as I'd like, but that seems worse with them because they also publish books -- which, by the way, have the same discographic flaws -- and because their stance is to take you there, whereas Putumayo is more interested in bringing it to you. This month I happen to have a handful of both, including a couple of matching cases. Putumayo even fares better on Americana and Arabesque -- Putumayo's previously reviewed Sahara Lounge, North African Groove, and Turkish Groove albums were solid B+ mostly on flow. (On the other hand, the previously reviewed Rough Guide to Israel also has a B+ edge. 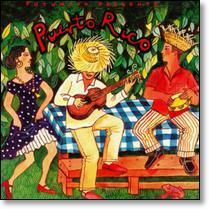 Haven't heard Rough Guide to Salsa de Puerto Rico.) Of course, having said all this, I've probably ticked both labels off all the more. What's a critic to do? In an infinite universe, all the music you'll ever need already exists somewhere. We find more each month: world music comps (Putumayo, Rough Guide), jazz giants (John Coltrane, Charles Mingus), avant schoolboys (Steve Lacy, Roswell Rudd), fusioneers (John McLaughlin, Jaco Pastorius), various Blue Notes (Andrew Hill, Frank Foster) and Prestiges (Miles Davis, Art Farmer); many more (44 records).